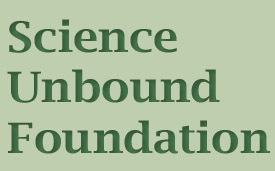 The Science Unbound Foundations’ giving is primarily limited to research and educational activities in the areas of Obesity, Nutrition, Statistical Science, and Public Health topics of critical importance to today’s research agenda. The Science Unbound Foundation offers five awards on an annual basis. A paper from an Indiana University-Bloomington (IUB) student in the School of Public Health on any topic related to public health. A University of Alabama at Birmingham (UAB) based investigator in the area of obesity or nutrition. A UAB-based investigator in the area of statistical genetics or general statistics. A UAB-based student in the area of obesity-related research. An investigator affiliated with the New York Obesity Research Center based at St. Luke’s-Roosevelt Hospital and Columbia University in the area of obesity-related research. The institutions are chosen because of their established strength in this area and demonstrated success in promoting research on these topics. To be eligible, applicants must be the first or senior (last) author of a paper published during the year under consideration and not have won the award in the last 2 years. In 2019, awards will be given for papers appearing in peer-reviewed journals in 2018. The competition is open to investigators at all levels. Each award winner will receive a plaque and a cash prize: $1,000 for faculty and post-docs and $500 for students. Submit a cover letter of not more than 1 page explaining the importance of the paper and indicating that the nominee played a leadership role in producing the paper. Submit to address below by Fri 6/28/2019 at 12:00 pm central time. Electronic submissions are encouraged. Winners will be announced by Friday 9/6/2019.